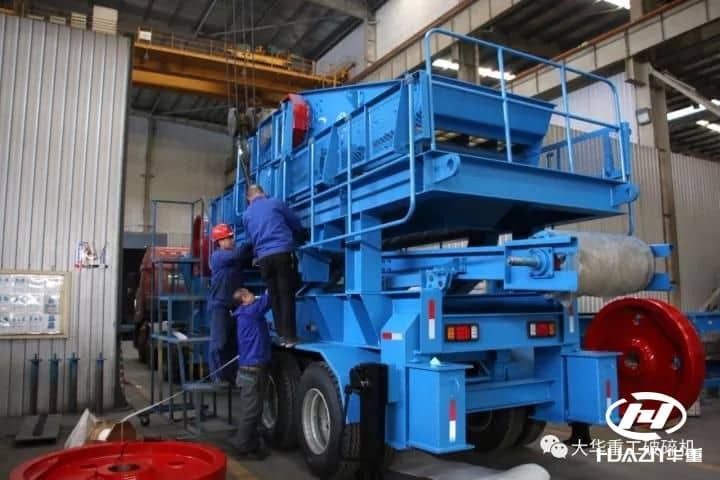 YD2000 Wheel-typed mobile crushing plant, a new set of mobile crushing plant manufactured by Luoyang Dahua will send to Armenia, the outer Caucasus. This system is applied for the South-North highway construction in Armenia. This highway is of strategic importance for the long-term development of Armenia, which is the embodiment of connectivity cooperation within the "B&R" strategic framework. The wheel-type mobile crushing plant is mainly used for the production and processing of concrete aggregates. 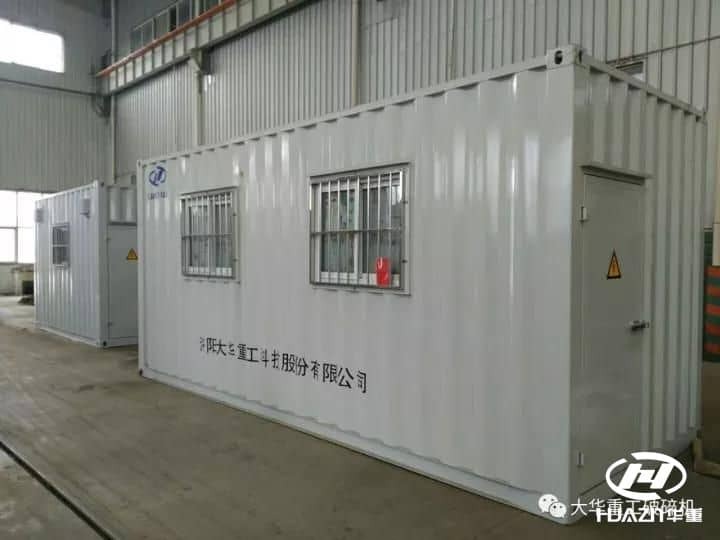 Its production capacity is 200t/h. This project is designed into three-section crushing process according to the site and raw materials situation. The first and secondary crushing section adopts jaw crusher, and the tertiary section adopts impact crusher. 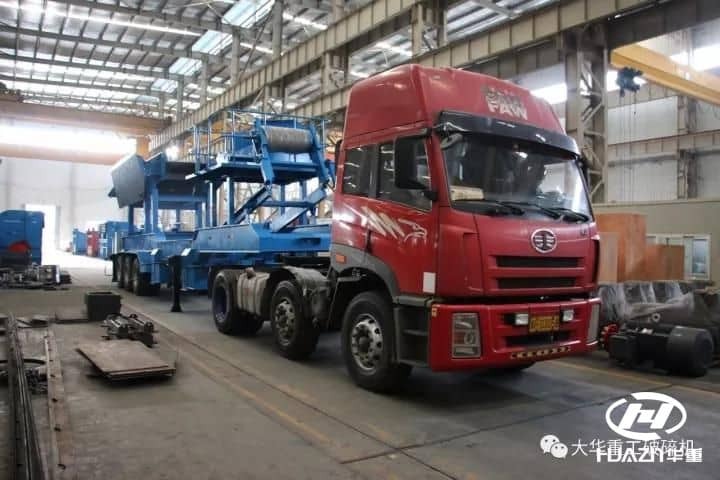 All the main equipments are installed at the chassis, which is convenient for site transportation and transition. It is easy to install at site with high efficiency, and the belt conveyor is wheel type structure easy for site arrangement. This system is equipped with a standard set of centralized control room. The whole system is modular design, which is simple for installation. The process design is reliable and smooth, the structure is simple and the operation is safe and convient. 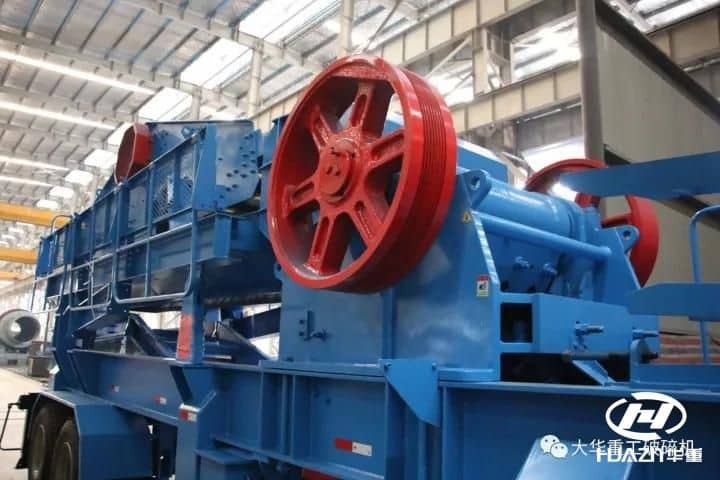 Previous Article：How to maintain Crusher Machine in Winter?